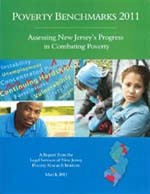 POVERTY - What does Poverty look like in Mercer County and New Jersey? Last Week! Don’t miss out on the tax credits and Free Tax Preparation by IRS certified tax preparers! Social Security Cards (or ITINs) and dates of births for the taxpayer, spouse, and children and any other dependents you are claiming. Copy of 2009 Income Tax Return if possible. WHO QUALIFIES FOR FREE TAX PREPARATION? Families with a combined income of less than $50,000. Couples and singles without children earning less than $50,000. Immigrants without a social security number will be assisted. Call 211 for Free tax preparation sites in New Jersey or go to www.earnedincometaxcredit.org for Mercer County sites. For male individuals in need of interview or workplace –appropriate apparel. Do you need help with getting a job or attending school? Are you looking for services to promote mental health recovery and wellness? Do you have questions of social security benefits, NJ workability? Representatives from community organizations including Mercer County College, DVR, Social Security Administration, NJ Workability, Greater Trenton Behavioral Care, AAMH, SERV, Catholic Charities will provide information about their available services and answer questions you may have. Save the Date: Mercer Alliance’s Honors Michele Siekerka, Esq. Thursday, May 19, 2011 - 5:30 p.m. to 7:30 p.m. Chair: Sen. Peter A. Inverso, Roma Bank, Jackie Alberts, Mercer Alliance; Sandra Baumann, Tyco Intl. ; Christy Stephenson, St. Francis Medical Center; Eileen J. Kennedy, The Kennedy Factor; Jeff Perlman, Borden Perlman Co.; Liz Tindall, Mercer Regional Chamber of Commerce; Michael A. Cano, Cano Wealth Strategies; Sherise Ritter, Mercadien PC CPA’s; Tim Losch, The Bank. Dress professionally and bring 15 to 20 resumes. New Brunswick, New Jersey 08901. This FREE conference is cosponsored by the New Jersey State Bar Foundation and made possible through funding from the IOLTA Fund of the Bar of New Jersey. This conference will provide valuable information for NJ residents who are blind or visually impaired, parents of infants and school-aged children who are visually impaired, advocates for persons with disabilities, as well as employers and service providers. Registrations will be accepted via mail only. This conference is free of charge. However, a refundable $5.00 commitment/security deposit check, made payable to The NJCBVI must accompany each registration. Cash and purchase orders cannot be accepted.